Our soldiers and officers need to be in contact at all times. You make sure that’s possible by looking after your regiment’s communications equipment. You set up our cutting-edge systems when we move around the battlefield – in fact, you’re often one of the first people on the scene. You will work closely with officers, passing on information and keeping channels open. You’re trained to use radio and digital communications systems. You can get qualifications in civilian technology and will learn to drive a range of vehicles. Sports and Adventurous Training add to this exciting dual role. Advise commanders on all aspects of communication security and signals equipment. Learn to drive a variety of military vehicles and gain HGV licence. Maintain an RLC Regiment’s communications equipment. Work from unit headquarters on exercise and operations, setting up and maintaining communications. 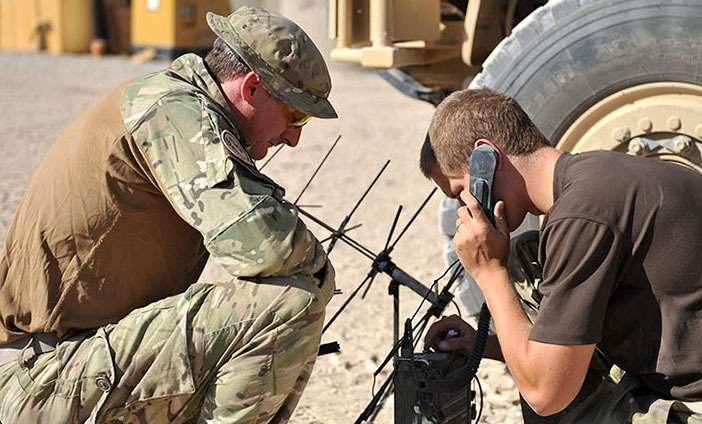 Gain qualifications in civilian communication technology.